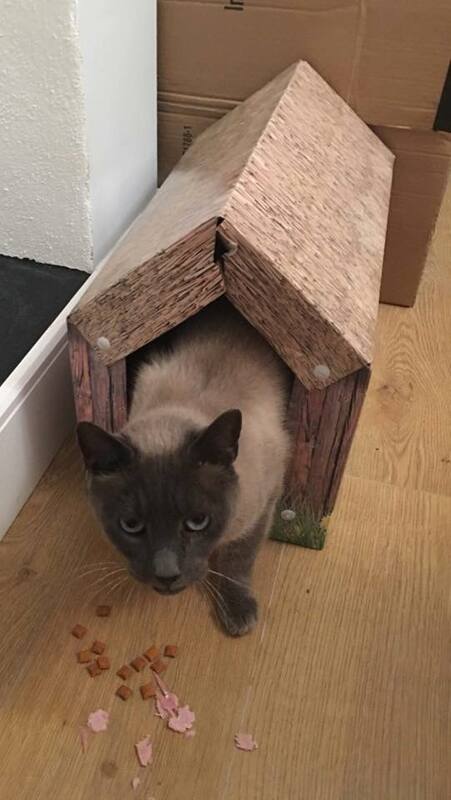 Harley came into CP care in January 2018 and was a very frightened nervous boy spending many weeks in his cardboard house in his foster pen. He also had major dental problems and needed two separate operations to resolve his serious dental concerns. Slowly and feeling much more comfortable after surgery Harley came round bit by bit though new owner Helen knew it may be a long journey for Harley Blue as he's now called to adjust to the change in his situation again. But look at Harley-Blue after just a week in his new home with Helen and how far he's come. On 05/04/18 Helen says "Tonight for the 1st time Harley Blue has taken treats and ham from both the floor and my hand. My husband has now got cheese sandwiches as Harley loves ham x"
It’s great hearing how patience and love are building Harley Blue’s confidence. October 2018 and Harley Blue continues to grow in confidence which is great for owner Helen and everyone involved with his CP care. 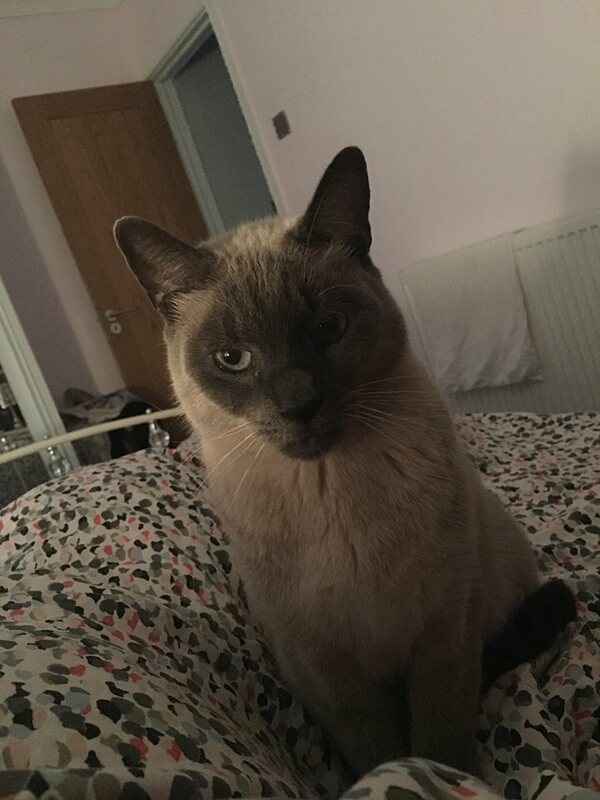 "Harley Blue being very adventurous, he comes & sleeps upstairs on our bed most of the night, then he plays football downstairs, he’d just came back upstairs to tell me he wanted his breakfast, it will be his 7th Birthday." Just look at this gorgeous boy now! 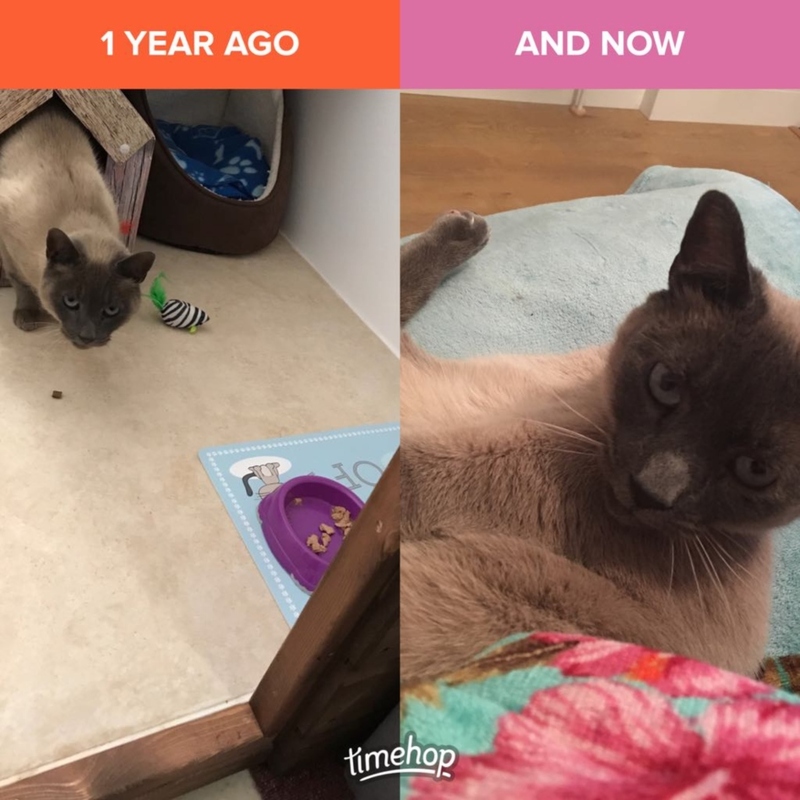 What a difference a year makes. On 24/02/19 Helen said "I met Harley Blue a year ago our love continues to grow. Love him so much."